In Madden NFL 17, the design and engineering team started from scratch, completely demolishing the old commentary framework, and rebuilding it from the ground up. This meant completely re-engineering our logic, adding thousands of new gameplay variables to create the deepest commentary logic in Madden NFL history. The result is that the game is now smarter, and is able to talk to game situations in ways it was never able to before, helping to immerse you the player in the story of a game. But we didn’t stop there, while we knew we have to re-build our commentary to take full advantage of the current generation of hardware, we also had a vision for what the future of a Madden NFL commentary team looked like. We started our talent search by focusing on four key pillars, all supporting our #1 goal of providing NFL broadcast authenticity to our players. It was important for us to create a team that we felt represented the next generation of Madden NFL commentary. A team that would embed itself as part of our development team to help us create something innovative and groundbreaking in the commentary realm now, and in the coming years. After a nearly yearlong search, we had our team. Without further ado, it is a privilege and an honor to announce that Brandon Gaudin and Charles Davis have joined the Madden NFL family. First up is Brandon, the new play by play voice of the game. 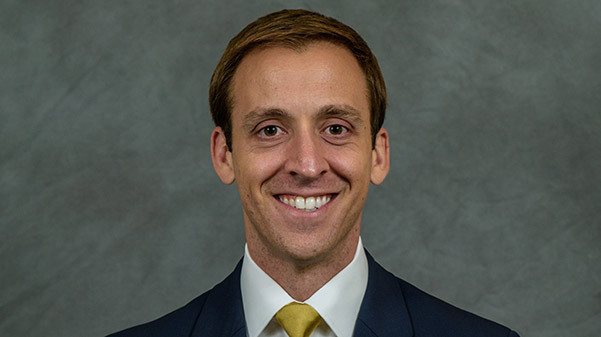 Brandon joins us by way of Butler University, Westwood One, and most recently Georgia Tech where he served as the voice of the Yellow Jackets football, basketball, and baseball teams for the past 3 seasons. A native of Evansville, Indiana, Brandon grew up a huge fan of the Madden NFL franchise and has always been fascinated with the science of creating commentary in video games. A result of this is that Brandon has embedded himself with our design team, helping to craft the commentary experience and make it as authentic as possible. 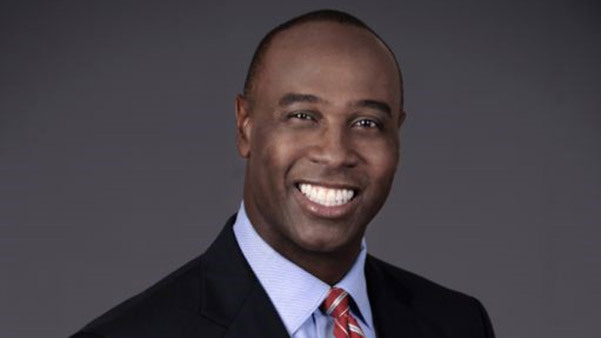 Next is Charles, a native of Orlando, who played football at the University of Tennessee and appears as an analyst on NFL Network and Fox Sports. Charles passion and love for the game of football is clearly demonstrated in his work on both networks, and is also one of the most well respected draft analysts in the business. Charles brings that same knowledge, preparation, passion, and drive to teach the game into the Madden NFL booth each and every day. Just like Brandon, Charles has embedded himself with the team, working to ensure he is providing deep, insightful analysis that can educate users of all ages about the nuances and history of the game. Both Brandon and Charles have provided the team with unprecedented accessibility, often recording with us multiple days each week. This has allowed us to capture depth we could have only imagined in the past. They are also serve as active members of our development team, working closely with our designers, engineers, and writers, to help brainstorm and execute on ideas. Moving to this model has allowed us to capture what would previously be a years’ worth of content in a few short weeks, and has afforded the team the opportunity to brainstorm, implement, and rapidly iterate on creative ideas that help drive an authentic commentary experience. Players will instantly recognize the depth of the commentary in Madden NFL 17, and there will no doubt be quite a few surprises when you hear content for some of the more obscure in game scenario’s you can pull off. Historically, Madden NFL has featured commentary teams that are already working together to call their actual games. While this method has proved successful, our thought process coming into this cycle was outside the box. We wanted to create a new up and coming team that could grow together as the NFL voices of Madden NFL. In the end we’ve built a team that would not surprise us if you heard them on Sundays in a not too distant future. A core reason for selecting Brandon and Charles was the chemistry they showed during their in person interview together. They have a natural back and forth and ability to tell the story of a play that immediate drew the team in. The key benefit for players is naturally flowing, back and forth commentary that captures the personalities of each talent, and further immerses players in the moments of their game. You can also count on hearing some incredible stories from the two about players, coaches, schemes, and even Brandon’s high school playing career as a kicker. Something that has been extremely important for the team is to make sure we are teaching users of all ages about the game of football through our commentary. We are already doing this through our gameplay enhancements each year, and our skills trainer, so we wanted to make sure to also make sure our commentary team was doing the same. It is important for us to not only teach the fundamentals of football through commentary, but to also talk to specific players strengths and weaknesses to educate less skilled Madden NFL players on how to best utilize their teams. Brandon and Charles are true students of the game. 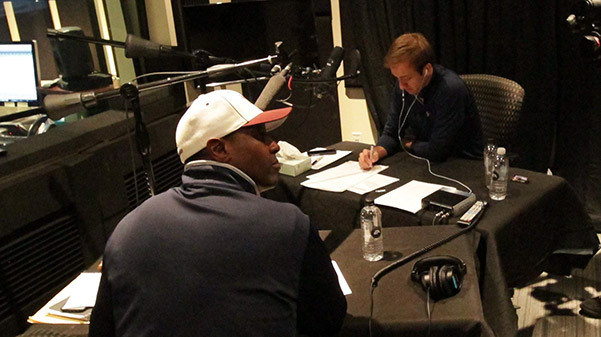 Charles in particular has earned the name “Professor Davis” in the recording booth with our team as he is a walking, talking, encyclopedia of football knowledge—a trait that comes across as you play the game. Working together they’ve been able to provide some absolutely amazing content as a fan, and they will pull back the curtain of the NFL to let players know some really in depth details. New to Madden NFL 17 on Xbox One and PlayStation®4 is the ability to add new commentary content throughout the real NFL season. This means that if a player or team has a monster week, you will hear about it shortly after in the game. 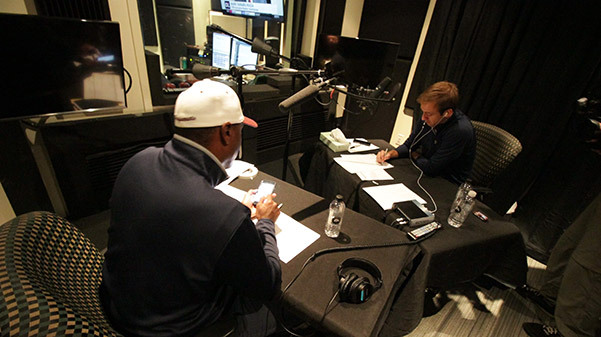 Brandon and Charles will be in studio with us throughout the course of the season, recording the latest content to help bridge the gap between what you see on Sunday, and what you hear when you boot up your game. So there you have it, Madden NFL 17 marks the launch of the single biggest commentary project in franchise history. But this is only the beginning, the entire Madden NFL Dev team could not be more excited about the additions to commentary in Madden NFL 17 and the road ahead.